Story: Hawthorne is proof that big things come in small packages. 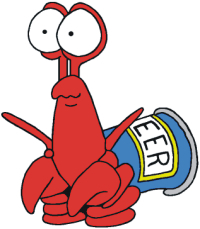 He's a loud mouth, toe-pinching, penny-pinching, party pooping, macho, beer can-dwelling, woke-up-on-the-wrong-side-of-life hermit crab. Hawthorne is always trying to make a quick buck on some more or less legal business adventure.